Week Five: Don't Burn Down the Forum... Please. Can the Jaguars keep from embarrassing themselves? Who will step up and make a difference for this team? Will a receiver other than Cecil Shorts step up? 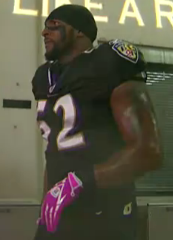 If it's anything like the Ravens' black and pink, me gusta. We have the least ammount of tickets available. I'll be there Sunday hoping for the best but, I'm expecting a blow out. Peppers gonna have a field day. 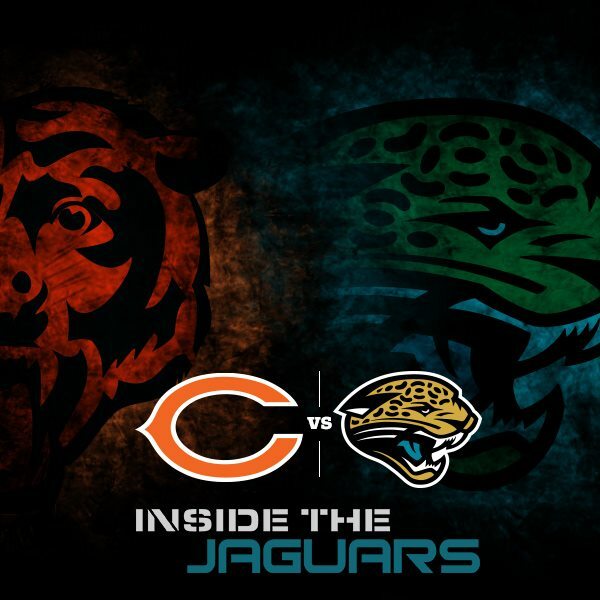 For all intensive purposes the bears should steamroll the jags BUT I have a crazy tickle in the back of my mind. It seems like this team has a knack for being the exact opposite of what's expected. Only if they line him up at LE the whole game or the LG/Gabbert troll Monroe. Sadly, on 3rd down, they put him as the UT...we effed. The Jaguars will win this game because they love trolling their fan base. I don't want to watch, but I will. Didn't realize your guys' run defense was that bad...ouch. On paper this should be a laugher. Good luck guys, here's to a healthy game. After watching the Monday night game and seeing Peppers at UT makes me scared. He's actually played NT and RE as well...Marinelli just puts him where the best matchup is for that particular play, his listed possition might as well be DL. 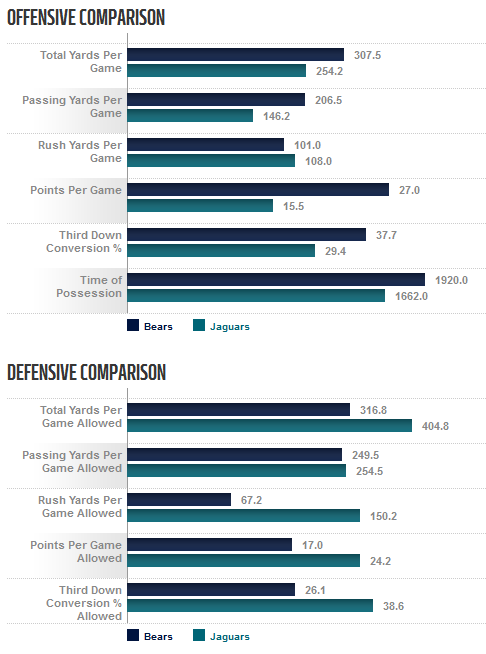 The Bears defense has been dominant so far, even better than the basic numbers would indicate. I haven't watched the Jags yet (I'll probably check out the Bengals game this week), but even a team like the Rams were only able to score 6 points despite Bradford playing pretty well I thought (he was sacked six times and pressured constantly despite a lot of quick attempts). Cutler has looked bad at times, but he lit it up against the Cowboys and Colts after slow starts because of good protection. He ended up going 20/24 for 320 yards and 2 TDs after a 1-11 start against the Colts, and was 11/12 for 219 yards and 2 TDs in the 2nd half against the Cowboys. If he's pressured early, he can probably be forced into some erratic throws and bad decisions. Peppers gonna have a field day. I don't think he's looking forward to his matchup this week. I'm sure he talks to Jared Allen every once and awhile.